Looking for a fun place to sit a spell and relax in your garden? How about entertaining on your patio? 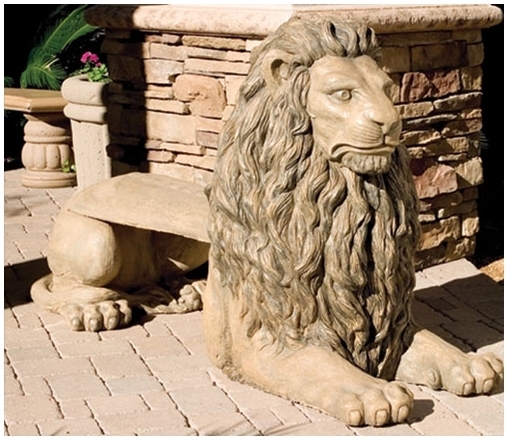 This funny yet substantial garden bench is a replica of a large and very regal lion. 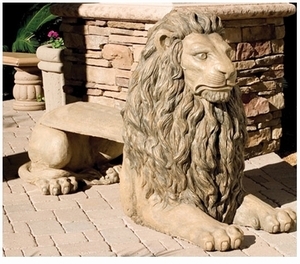 All of our animal benches are meant to add whimsy and happiness to your home and garden areas. With lots of details and fun designs, they are interesting and functional. Ships in 3 pieces, made of concrete and is a special order item. When you are looking for that unique piece to add to your landscape, look no further. Get your tape measure out because these are large. Lion $1,263.00 23.00" 40.00" 72.00"